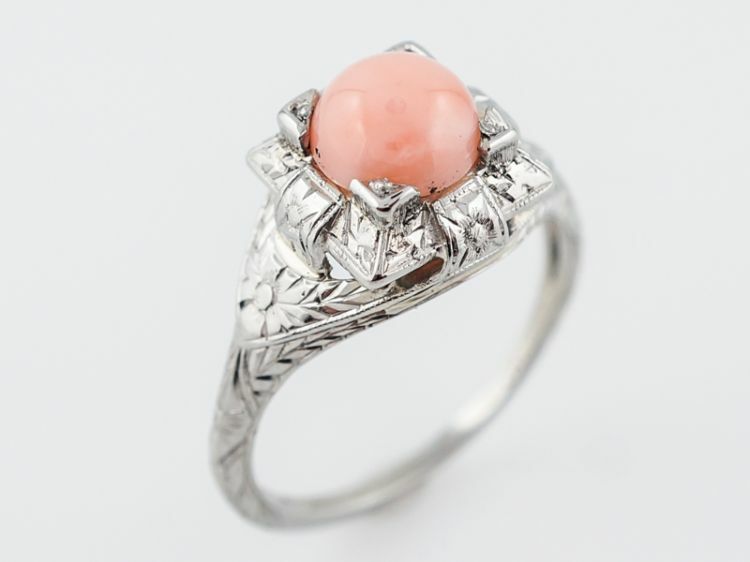 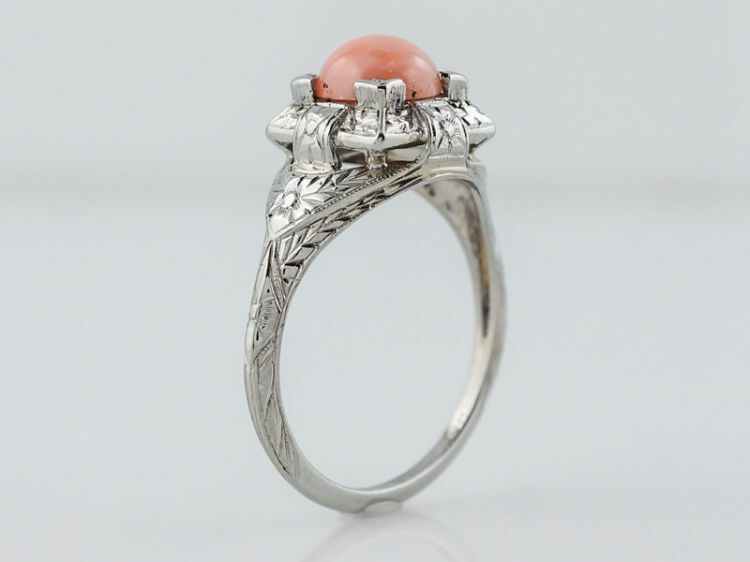 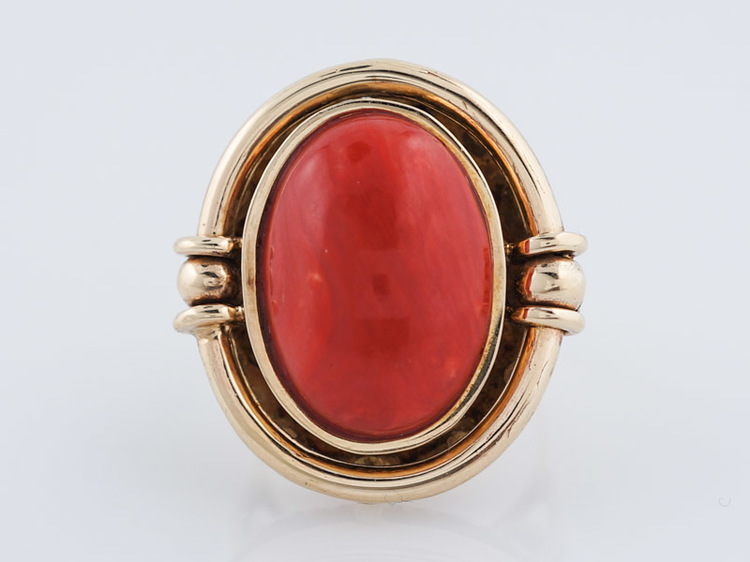 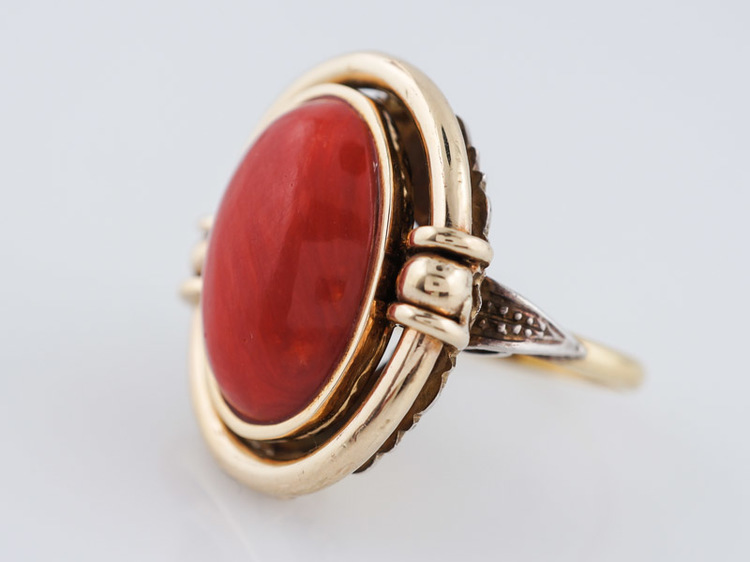 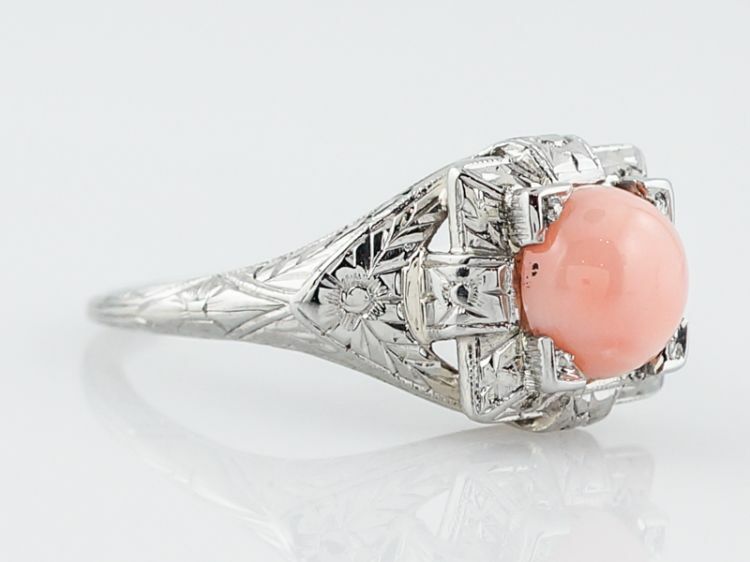 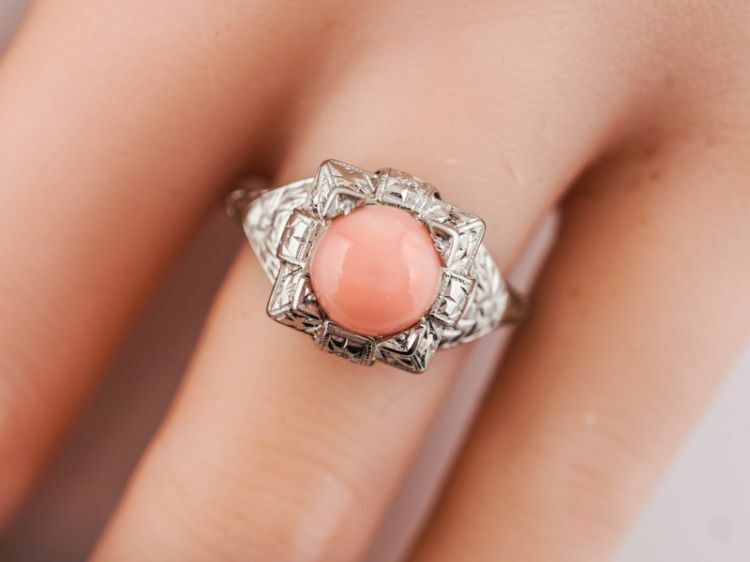 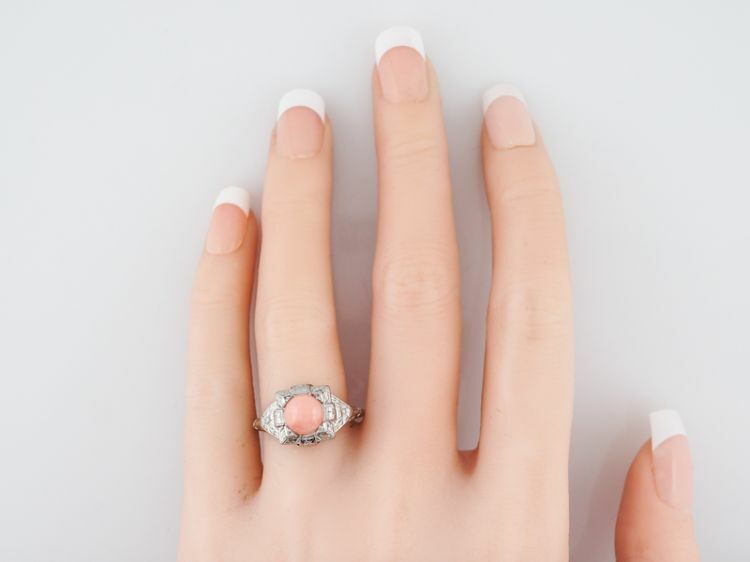 This original antique 18k white gold ring has a round cabochon cut coral at its center. 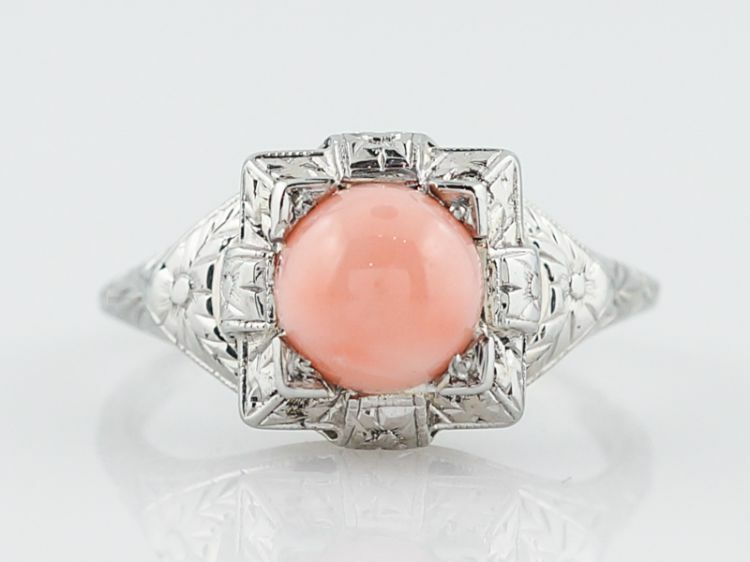 The Art Deco setting is square shaped with four orange blossom stations and geometric details between them. 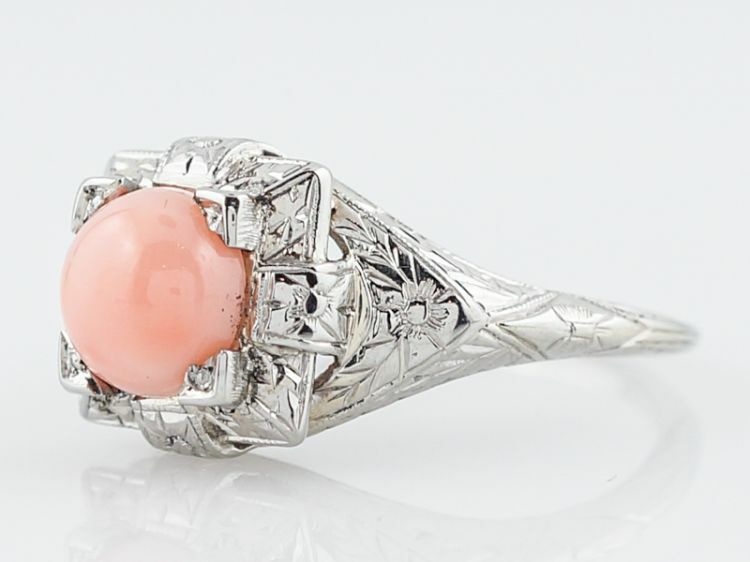 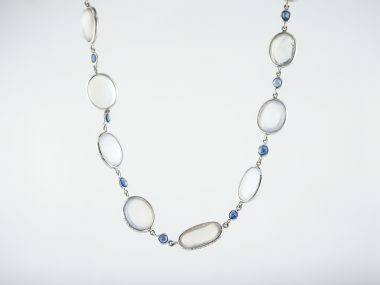 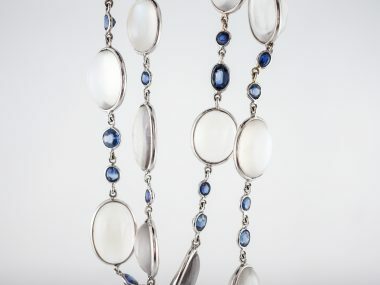 The band has a large orange blossom on each side then tapers as it encircles the finger. 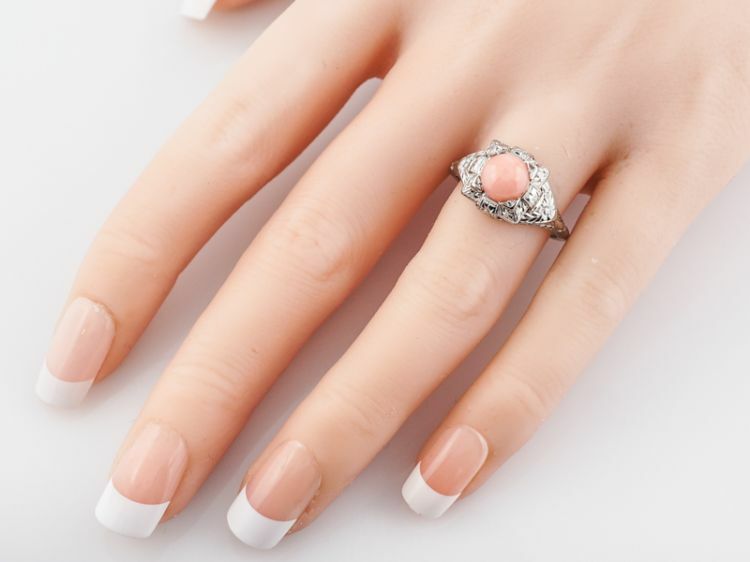 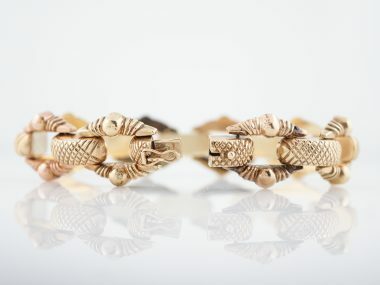 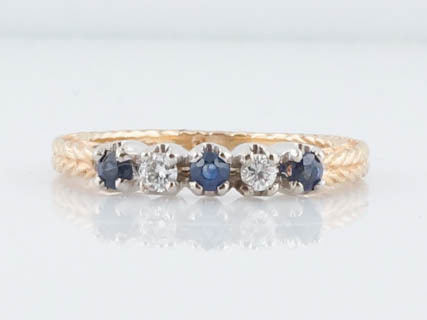 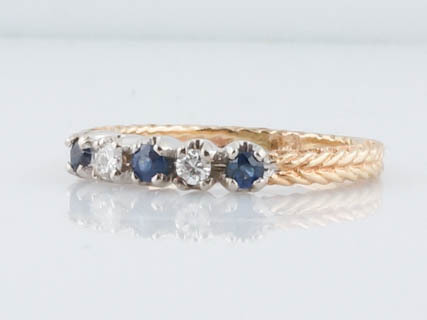 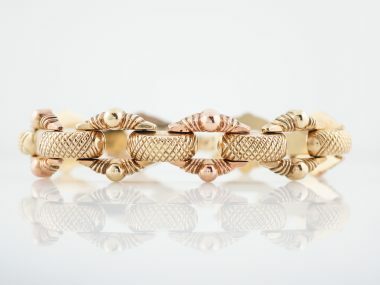 There is a also a crisp chevron pattern on the sides of the band.